The case involved Yahoo!, Zwillinger’s client, which had apparently refused to comply with the NSA’s directive to Yahoo! to turn over private information about its users. The FISC-R recently released a heavily-redacted version of its 2008 order (pdf), in which it concluded that the directive was reasonable under the Fourth Amendment. This was only the second order to come down from the FISC-R in its lifetime. Unlike the FISC-R, the lower FISC has been quite busy over the years, in its primary role as an “approver” of the government’s surveillance applications. The seven FISC judges are Article III judges, selected by the Chief Justice of the U.S. Supreme Court. Their primary job is to decide surveillance applications from federal law-enforcement agencies like the FBI and NSA, when those requests implicate national security. Although the FISC has only recently become the target of criticism, it was originally created in 1978 to act as a check on the power of the executive. Before the FISC was created, the Senate’s Church Committee found that the executive branch was abusing its authority to conduct domestic surveillance. Today, however, the FISC does not seem to be much of a check. Since 1979 it has rejected just 11 surveillance applications, and granted 33,942, according to Wikipedia. But those numbers don’t tell the whole story. On the surface the FISC seems willing to facilitate executive abuse of power. This has given rise to the widely-held characterization that the FISC is nothing more than a rubber stamp. But James Carr, who served as a FISC judge from 2002 to 2008, has a different opinion. Carr testified alongside Zwillinger on November 4th on the way FISC judges consider individual surveillance applications. According to Carr, so-called “legal advisors” do the job of vetting surveillance applications even before they get into FISC judges’ hands. At the FISC, legal advisors function as neither law clerks nor magistrates. Their role, in part, is to push back against the Department of Justice and the intelligence agencies. They decide whether or not to formally present applications for judicial review. Those applications the advisors choose not to present are “off-docket” — simply not considered for approval — meaning that the true rate of rejections, even if those rejections don’t come from the judges themselves, is greater than that indicated by the 11 applications turned down since 1979. This suggests an internal, quasi-adversarial process. The problem, however, is that the adversarial process is a hallmark of our legal system, and Zwillinger and the Internet service providers he represents (and, by extension, the millions of users who expect some modicum of online privacy), play very little role in it. Saying that Zwillinger is our lone defender of online privacy when it comes to national security is perhaps an overstatement. Google itself recently pushed back against NSA overreaching with its heady graphs on government requests for users’ information. And nearly all the big names in Internet service providers, from Google to Yahoo! to Facebook and others, are currently seeking a declaratory judgment from the FISC-R (Zwillinger is again representing Yahoo! in this case) asking the court for the authority to publish the number of surveillance demands — just the number — the government has made. In short, the service providers are asking for a bit more transparency. But there’s some truth in my lone-defender label. Whether or not the FISC is a rubber stamp is sort of beside the point. What matters is meaningful legal process. It is only possible, at the moment, to point to a dark gaping hole where process is concerned. Zwillinger testified that the law is currently designed to make service providers like Yahoo! “the last bulwark” against overzealous surveillance, because the FISC does not have the authority to do a full review of a government directive unless a service provider first initiates a challenge. And it is exceedingly difficult for a provider to initiate a challenge, because they are the only parties with the statutory authority to challenge orders before they’re executed. This is strong language coming from someone with his background. Zwillinger started with the Department of Justice as a computer crime prosecutor. From there, he founded ZwillGen PLLC and went into private practice, defending clients facing government demands for electronic evidence in criminal cases. Zwillinger’s practice evolved to a point where he began helping clients respond to all types of demands for user data, in both civil and criminal cases, as well as intelligence cases under the Foreign Intelligence Surveillance Act, or FISA. To date, Zwillinger’s 13-plus years in this line of work means that he understands a thing or two about litigating privacy cases, yet there he was in front of the PCLOB, using words like “uphill battle” in describing his experience litigating in the FISC. It comes down to a veil of secrecy over anything that touches FISA law. The government can serve unclassified, redacted versions of its submissions on other parties, as long as those versions clearly articulate the government’s arguments. If you go before the FISC, in other words, you will have to respond to a redacted version of the government’s pleadings, while everyone else knows what’s actually going on. 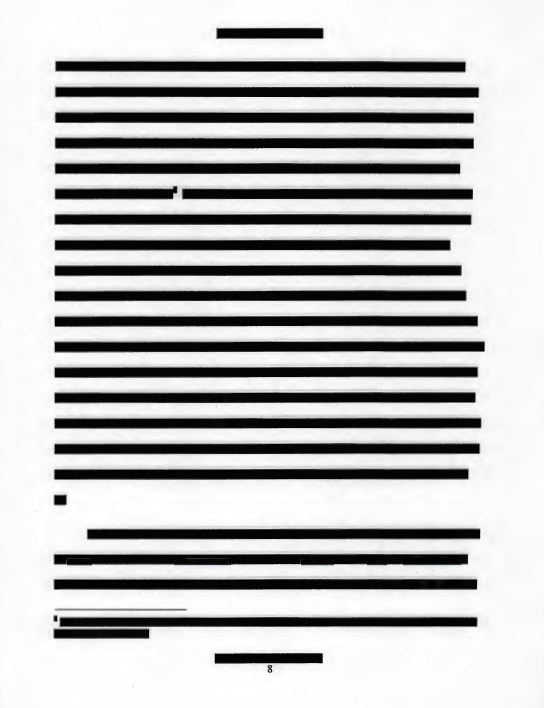 Do redacted pleadings clearly articulate the government’s arguments in a meaningful way? Is clear articulation of the arguments, but with none or nearly none of the substantive facts, enough to craft a meaningful response? The answer, generally, is no, and we start with how government orders first arrive on Internet service providers’ doorsteps. Zwillinger is one of the few lawyers with the right clearance. He had it eight years ago when a provider first asked the government to clear him so that he could give that provider legal advice. Zwillinger has held this security clearance ever since. Would independent counsel help lift the veil of secrecy? Would it make litigating in the FISC more meaningful for private lawyers like Zwillinger and the providers he represents? Scott Greenfield, criminal defense lawyer and author of the blog Simple Justice, wrote that it isn’t enough to authorize FISC judges to call on independent counsel only when they feel like it. The point of an adversary system isn’t just to oppose the government’s lawyers arguing the government’s position for the government’s benefit, but to challenge the neutrals to be neutral. The government isn’t there only when the court decides it would be a good idea to hear from them, but to push the government’s agenda. To shackle the government’s adversary by only seeking an appearance when the court decides it could use a hand isn’t any adversary system at all. The problem right now is there is no advocate litigating in the FISC from case to case, which is why lawyers only get snapshots. So from Zwillinger’s perspective, the role of independent counsel should be much more than running to argue in the public interest when FISC judges call for them to do so. Independent counsel would have to be an integral, permanent part of the system, with a clearer view of the landscape of arguments and decisions the government makes, from Point A to Point B. In the end, the idea of independent counsel is just an idea. Who knows how far we will go until the idea becomes reality. For now, Zwillinger must deal not only with a lack of transparency but a lack of precedent. “[N]obody’s been there before,” Carr testified, referring to when novel issues come up before the court. In other words, there really is very little precedent to build arguments on. This, combined with the redactions, makes for difficult advocacy (again, from the perspective of private counsel, not from the perspective of the government, which has all it needs to build its case). But there are signs of improvement. Zwillinger referred me to Tumblr, of all places, where the intelligence community has published some declassified documents. It’s even on Twitter @icontherecord (“Intelligence Community on the Record”). At the moment, the account has 2,330 followers. (Glenn Greenwald is among them, the journalist who originally broke the Snowden story.) This effort, along with the greater-than-believed rate of rejections of surveillance applications (even if we don’t know what the number actually is), indicates the slippery slope may not be quite as slippery as we thought. Still, the current process of litigating in the FISC merits improvement. As it stands now, looking again at the FISC-R’s 2008 order (pdf), you wouldn’t even know who —the NSA or the FBI or Martians — is making the application. That’s redacted. And you really have no idea whether the procedures in place to safeguard whatever level of privacy we are allowed to have are actually working, other than the assertion of earnest people that they are, in fact, working. Descriptions of all such procedures are redacted. The only thing we do know is what is publically available — i.e. not secret. Namely, that the NSA certifies to the Attorney General that who it wants to target is an agent of a foreign power. It does so through the means of a two- or three-page submission and an oral briefing. “Notwithstanding much that has been written in the press, the FISA court is a national treasure. James Baker, the third panelist alongside Zwillinger and Carr at the PCLOB hearing, served as Foreign Intelligence Policy Counsel with the Department of Justice from 2001 to 2007. It was Baker’s job, in his role at the DOJ, to point out to judges like Carr any new or unusual surveillance techniques or requests the government wanted to use. Baker was, presumably, one of the government lawyers who would pull judges aside ex parte to discuss classified documents, while Zwillinger was forced to wait it out in the hallway. Having worked closely with the FISC, Baker seems to have formed the opinion that the court functions very well. It is, in fact, “painful” for Baker to see that many Americans don’t share his point of view. “Notwithstanding much that has been written in the press,” Baker testified, “the FISA court is a national treasure. It has done its job in exemplary fashion during wartime.” Apparently — and Baker does seem quite earnest — we are to take him at his word about how well the FISC works in balancing the interests of national security and citizens’ privacy. The FISC may very well be a national treasure. It may very well have done an exemplary job. But this contention, like the contention that the FISC is nothing more than a rubber stamp, is beside the point. Litigating in the FISC is like arguing with a brick wall; you cannot meaningfully argue against the government when there is scant precedent on which to build a case, no true adversarial process as we’ve come to understand one, and where the facts on which the government relies to make its case have been attacked with a Sharpie. I applaud your outstanding piece and most importantly, we should all applaud Zwillinger. If one graduate from every law school class decided to buck the system instead of salute the system, we would all be better off. Ever listen to attorneys articulate what is wrong in court? I have. Now try to get them to commit that to paper. That is very,very difficult. The more I learn about the FISC, the worse I feel about it. I’m thankful for lawyers like Zwillinger who fight this fight. Excellent article! Kudos to you for digging in deep. Kudos to Yahoo! and Zwillinger for standing up for consumer privacy.